In this concrete jungle, also known as NYC, I get a little stir-crazy from the urban insanity and find myself needing to get off the island to breathe fresh air. Years ago, a friend introduced me to Cold Spring, where I have returned several times each year to hike it’s gorgeous surrounding ridges and quarries. There is something so spiritual and meditative about walking in fresh air, discovering finer views the higher the climb. After a few months of dating, I took my now-husband (who’s allergic to everything in nature) on a 4-hour hike along Breakneck Ridge — it was the perfect opportunity for us to connect on another level, stripped of our ‘big city attitudes’. A low-impact sport and easy on joints. And let’s be honest: the gym just gets old after awhile. Sorry, stepmill, treadmill-on-an-incline and spin bike: I’m sure I’ll be back when the snow falls! If you’ve never hiked before, simply raise your fitness level to the point where you can walk 4-5 miles easily. Train for climbs by walking up and down hills or stadium steps. If you have access to a gym, increase the incline on a treadmill or use the stepmill on an interval program. Wear a backpack to get accustomed to carrying extra weight, especially if you’re preparing for a multiple-day hike. For a more in-depth list, click here. 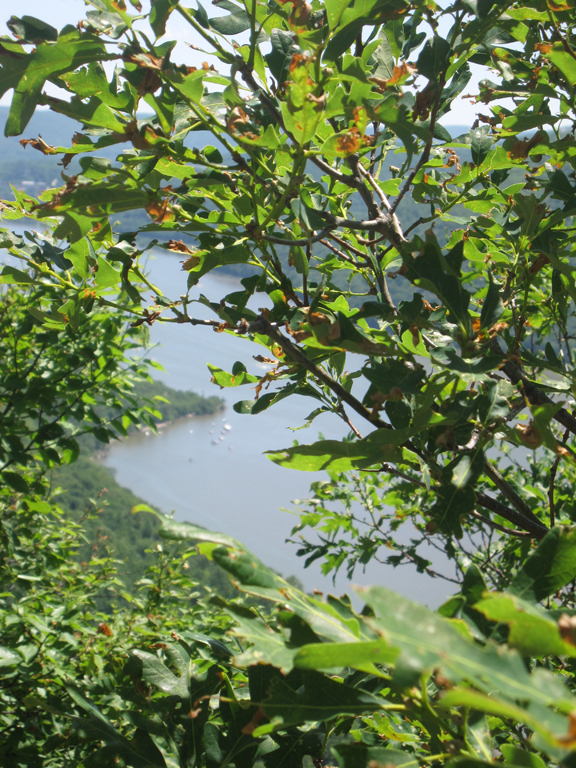 If you live in the New York area, I am hosting a free hiking trip to Cold Spring this Sunday, June 26, 2011. We’ll take the 8:47am train from Grand Central, arriving in Cold Spring at 9:58. After fueling up on last-minute items at the local outfitter, we’ll head out with our trail maps to Breakneck Ridge, a 4-hour moderate hike. We’ll head back into town for a quick bite before catching the 3 or 4pm train back to NYC. If there’s a prediction of storms, we’ll reschedule. Please email me at jenny@skoogfit.com to sign up so I know who to look for at Grand Central! If you cannot join us, check out this awesome link to the top US hiking trails!